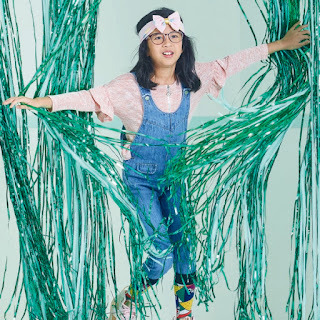 SM Kids celebrates the holidays with key fashion trends put together with a lot of attitude. At SM Kids, the holidays are all about fashion fun! And this means putting pieces from key trends together and letting young imaginations work. Julia Concio is energized wearing her ruffled knitted top with denim jumper pants. With celebrity children and young Royals like Harper Beckham, North West, Blue Ivy, Prince George and Princess Charlotte of Cambridge leading the way, fashion for kids has never been more exciting. 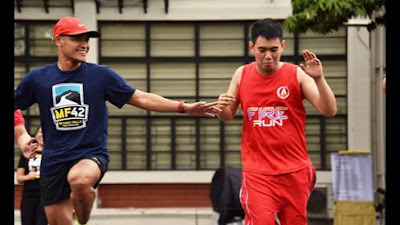 And they’ve influenced young fashion not only in trends, but in attitude. Love that layering. 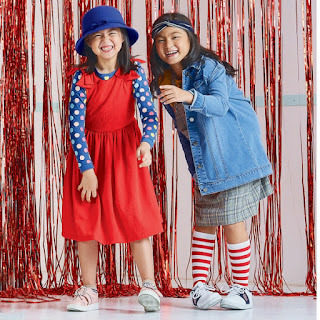 Gummy Carlos looks radiant in a red sleeveless dress worn over a blue long sleeved top with colorful polka dots; while Dara Rubin wears an oversized denim jacket over a plaid dress. There is a return to classicism, traditional children’s clothes that are elegant and timeless as influenced by Prince George and Princess Charlotte of Cambridge. For girls, there are romantic details, delicate floral prints, and full voluminous skirts, as well as fun and festive ruffles that add volume and dimension, and have a dramatic flair. For boys, there are checkered fabrics, corduroy making a comeback, and classic shirts. And this is where the fashion fun begins with layering, which takes young style to a whole new level, while being functional and fashionable. The look is slightly mismatched, delightfully over the top, but strong on young independent style. Over the top style. Ethan Suyo wears a black and white jacket with neon green details over a fatigue green shirt and dark denim pants; Talia Concio in a borrowed from the boys denim jacket, statement tee, and two-tone metallic pleated skirt, and Noah Alcaraz in a color play with his multi-color jacket, yellow statement shirt and black tone jeans. 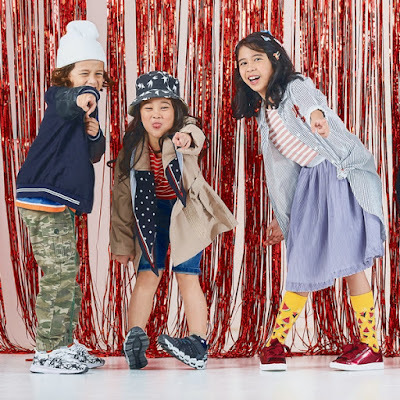 Visit SM City San Jose del Monte, SM City Marilao and SM City Baliwag and check out the holiday fashion for kids available at the SM Kids section of The SM Store.